In the year 2000, I was a long-haired student enthralled with open source and Linux. I set up a Linux user group in England as a means to meet other open source people, and one evening, in strolled a red-headed gentleman. Riddled with ideas and opinions, I didn’t realize that evening that he would end up becoming my best pal. What followed was not just a friendship, but over 15 years of collaborating together. 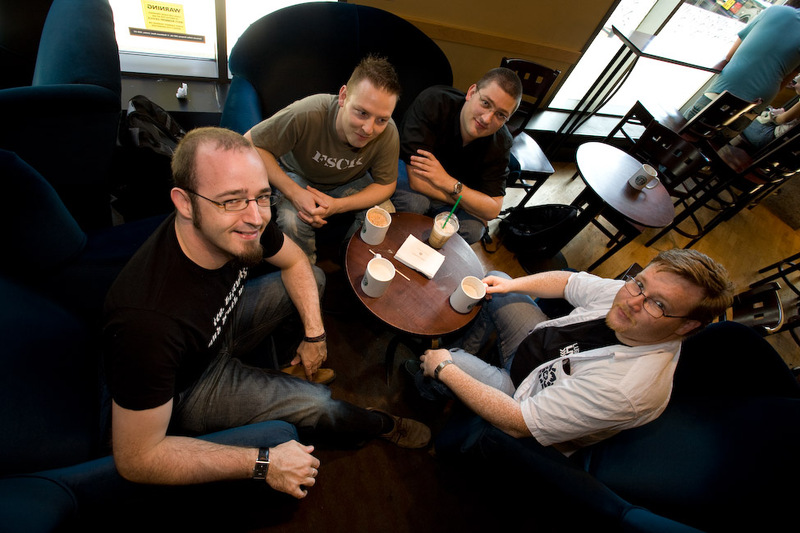 We started LugRadio, which resulted in hundreds of episodes and multiple live shows in the UK and USA. We followed that up with Shot of Jaq, and our current podcast, Bad Voltage, which has our other partner in crime in it, Jeremy Garcia. Outside of podcasting, we designed and built a somewhat short-lived audio multi-track audio editor, Jokosher, and countless other little ideas, prototypes, and experiments. We flew around the world to various conferences, spent literally hours on the phone debating the nuances of technology, and blew the froth off many a cold one solving the world. It was clear that what clicked with us is that we were both captivated by a journey into this newly forming collaborative technological age and associated communities, and part of the joy was sharing this experience together. As our friendship grew though, I realized that this wasn’t just about nerding out. Stuart is the definition of a good person, and a great friend. He is kind, generous, warm. He brings a blunt force of logic in illogical situations and an equally blunt kindness in tough times. He has always been there for the major changes in my life, such as moving to the USA, getting married, having a kid, and switching jobs. He provides both a voice of inspiration as well as reason. He even flew to California from the UK for a weekend just to join my previous birthday (and the surprise party Erica threw). He balances the perfect mix of hilariously forthright opinion matched with gentle nuance and care for those close to him. I have often thought of him as the entire mix of the Top Gear team: the comically opinionated Clarkson, the adventurous Hammond, the dry wit of May, and the importance of the friendship they all share. 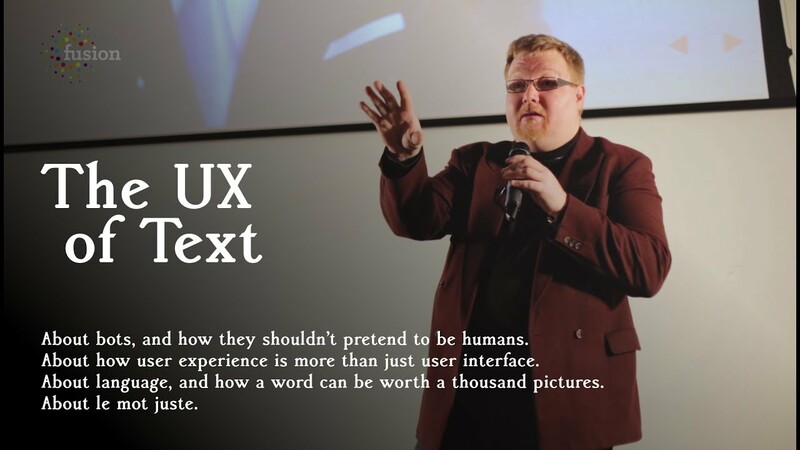 A great talk he did about the UX of text – check it out. This has resulted in Stuart becoming someone who is well loved by his friends, peers, and fans. 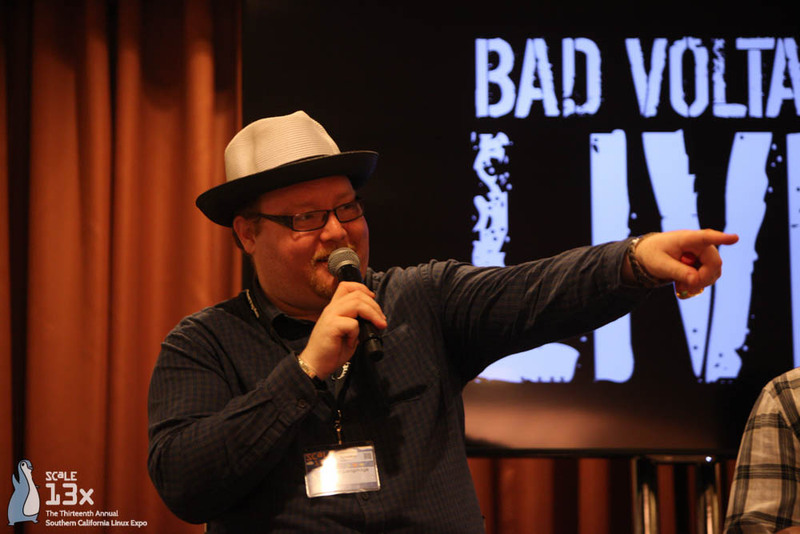 He is not just a brilliant web consultant, a well-respected member of the web and open source communities, and a talented podcaster, but he is someone people want to be around, myself included. Stuart, happy birthday. While today is a day when people typically give you gifts, I want to thank you for the gift of being such a good friend, year after year. Love you, pal, and I look forward to seeing you tweeting about how terrible the music is in the pub tonight.